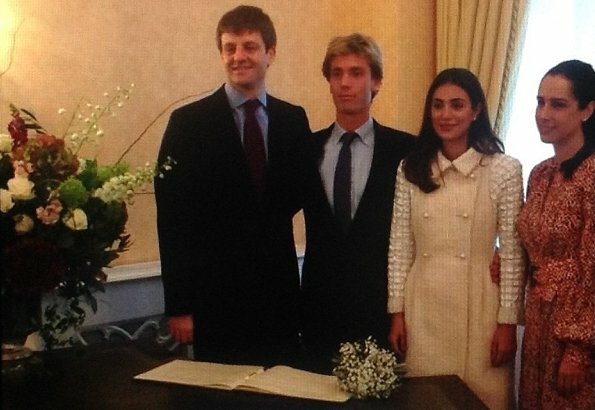 On November 24, 2017 at the Chelsea and Westminster Register Office, the civil wedding ceremony of Prince Christian of Hanover and his Peruvian fiancee, Alessandra de Osma, took place in front of a small group of close family and friends. Then, the guests headed to the Ritz hotel to continue the festivities. 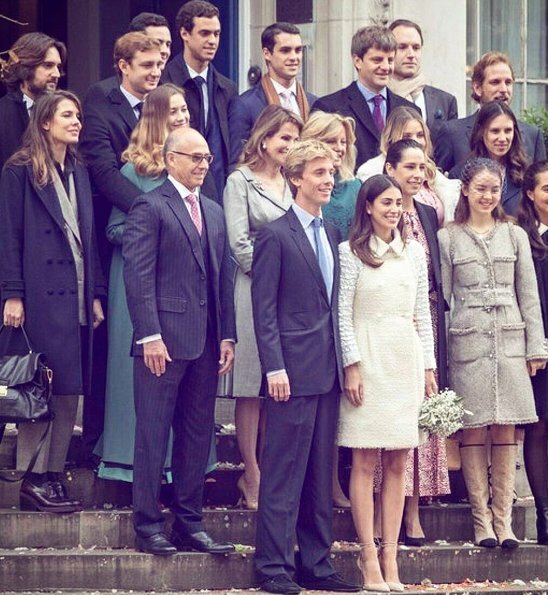 Guests included Pierre Casiraghi and his wife Beatrice Borromeo, Charlotte Casiraghi and her boyfriend Dimitri, Alexandra von Hannover, Andrea Casiraghi and his wife Tatiana. Seems like she is wearing the same shoes as Ms Markle! Nice to see, that the kids of Caroline and Ernst-August still are close. Sad, that Ernst-August doesn't seem to attend the wedding of his second son, too. I think Alessandra de Osma, is one of the most elegant women in the world. The bride is extremely elegant. I also like Alexandra's outfit - she seems to be wearing the gold version of the boots the model is wearing. Good of Charlotte to pop in from the office in her break.